Hello this is Herman from Berg Adventures on the Kilimanjaro trek. We left this morning from High Camp. We reached the Stella point at 18,800 feet at around 1:30 and we stopped there for lunch. We proceeded our way to the summit at 19,340 feet and everyone summited! It was good news and everybody was happy. 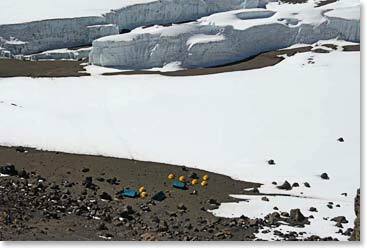 Now we are going to descend to crater camp at 18,400 feet and that is where we will be staying overnight. 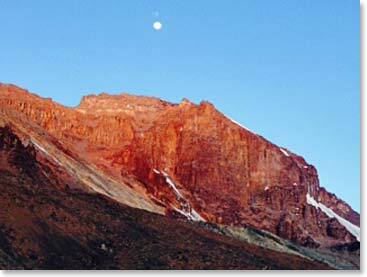 Tomorrow we will wake up nice and early and then descend down to Mweka Camp. 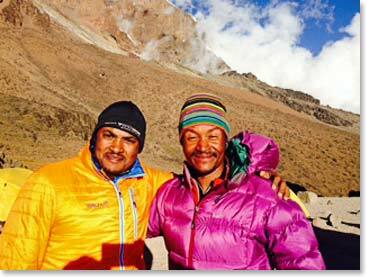 Everyone is doing good, we are happy that everyone summited. Everyone is enjoying crater camp at 18,400 feet and we are having a good time here. We are all enjoying looking at the glaciers around us. Again we are very happy we all made it to the summit! A photo of the teams summit day. 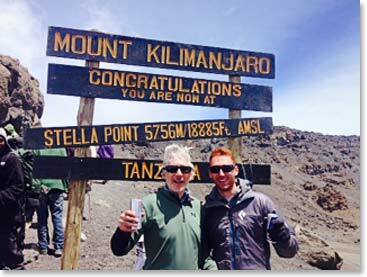 They started at Gillman’s point, traversed to Stella and onto the summit at Uhuru Peak. 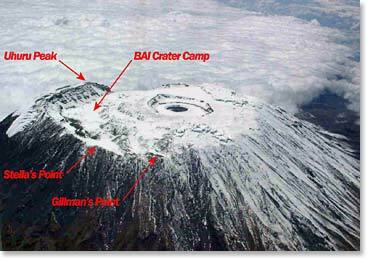 They will be spending a night at BAI crater camp.